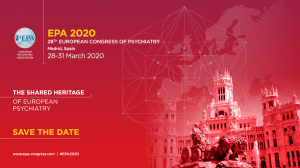 Invite your peers to join you in Madrid for the 28th European Congress of Psychiatry in 2020. Please post a link on your website and event calendar with the below banner. 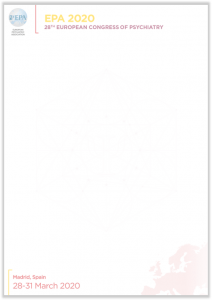 Please contact us should you need a version in higher resolution. 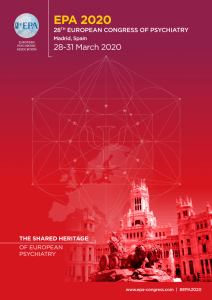 Include the banner in your email signature with a link to the Congress website. Please add at the end of your presentations, at appropriate meetings, and show on screens at events between presentations. 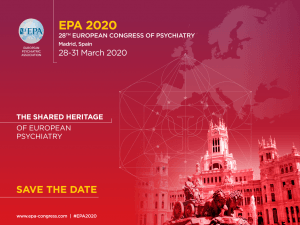 Download the official EPA 2020 Letterhead. Add us to your social platforms to get all the news about this leading Congress and the Association.